In recent decades Turkish women have risen to extraordinary prominence in a literary culture once dominated by men. 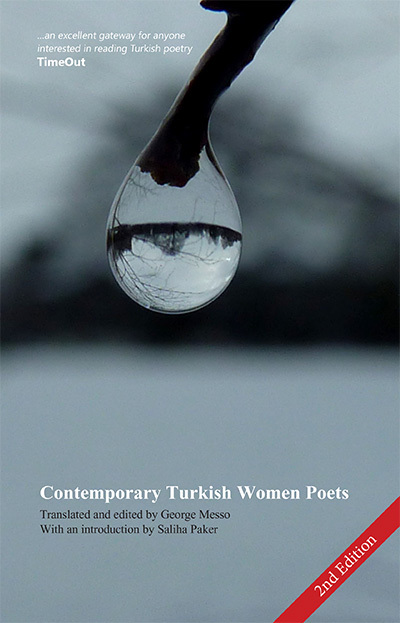 Contemporary Turkish Women Poets is the first comprehensive survey of these startling, vibrant developments. In his landmark anthology, poet-translator George Messo gathers twenty-two of Turkey’s leading, award-winning poets, writing at the very height of their creative powers. Collectively, they represent more than half a century of innovation and change, embodying one of the most sustained and compelling re-visionings of contemporary poetry for many years. With an introduction by the translator-scholar Saliha Paker, Contemporary Turkish Women Poets offers a uniquely challenging and irresistible encounter with some of the most dynamic poets writing today. In Sennur Sezer’s ‘documentary narrative’ Mihrî Hatun, a Turkish Sappho the author reconstructs the life and times of Mihrî (c.1460- 1506), an Ottoman woman who achieved unusual recognition as a poet in the late fifteenth century, but who was only brought to the modern reader’s attention within the last few decades.